The average American checks his or her smartphone every six minutes or 150 times daily. Nearly 30% look at their phones the “first and last thing” they do daily. Of those 35 and younger, 68% check their phones at least a few times hourly and 22% every couple minutes. 74% check their phones and 13% view video while waiting in lines or for appointments. More than 80% keep their phones within reach during waking hours. 84% use smartphones at home, 64% at work, 62% watching TV and 47% during commutes. Roughly 70% of web traffic, 61% of e-mail opens and 80% of social media activity occurs on mobile. 51% use mobile to discover new brands and products. 69% are more likely to buy from companies with mobile sites which easily address their questions and concerns. 53% of mobile website visits are abandoned if it takes longer than three seconds to load and conversions fall by 12% for every one second delay. 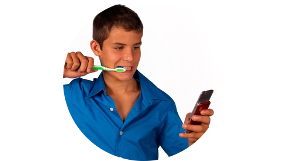 Drum roll, please: More people worldwide own a cell phone (4.8B) than a toothbrush (4.2B). 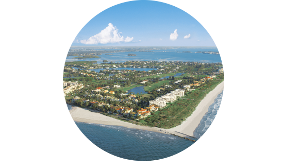 Originally developed in the 1970s and built out over the next 30 years, Sailfish Point is a luxury golf community on Hutchinson Island one hour north of West Palm Beach, Florida. Like many in its niche, the brand goes through peaks and valleys of awareness. Nowadays, Sailfish Point is riding especially high. A big reason is a recent New York Times feature story (prominent photos included) featuring its nurturing of nature. Following Audubon International’s sustainability guidelines, and achieving Cooperative Sanctuary certification, separates Sailfish Point from the competition. More than two years ago, Sailfish Point conducted an environmental assessment. That led to a wildlife and habitat management plan to reduce chemical use and intensify water conservation and quality management. In some areas, its golf course maintenance staff planted vegetation buffer zones, allowing growth of mangrove trees and aquatic plants to form a barrier between the course and waterways. When Sailfish Point’s leadership is respecting and taking care of the environment is featured in the New York Times, people listen. The beneficiary: elevated interest in estate homes, villas, condos, townhomes and a limited number of lots. Entry-level starts at $550,000 and rises to $5 million-plus for sprawling, single-family residences over a lavish 532 acres. Five-star resort amenities include a nationally-ranked Jack Nicklaus Signature Course, 77-slip marina and yacht club with deep water access, oceanfront clubhouse, spa and fitness center, tennis courts and pools. Thanks to our Buffalo team for its storyline development prowess and editorial connections. Sailfish Point has re-engaged minds among snowbirds in the New York-New Jersey-Connecticut area clamoring for eco-friendly communities in warm climates. We live in a digital, self-serve world. Pixellot is testament to that statement. It is the pioneer and market leader of artificial intelligence-based, automated sports production technology that outputs content sans human intervention. Buffalo has been selected as its agency of record. We are already expanding Pixellot’s market presence, placing the “next-big-thing” brand and its offerings in relevant regional and national news. 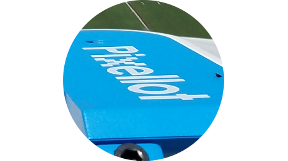 Since 2013, Pixellot has provided an affordable, turnkey alternative to traditional video capture, production and distribution systems for professional and semi-professional sports events. It streamlines workflow by creating a stitched panoramic image of the entire playing surface. Advanced algorithms enable automated coverage of the flow of play and highlight reels. Pixellot systems are deployed by broadcasters, production companies, clubs, federations, universities, high schools, sports portals and coaching solution providers globally. More than 40,000 hours of Pixellot-generated, live sports footage is streamed monthly covering baseball, football, basketball, hockey, rugby and other sports. To achieve its goal of streaming more than one million live events annually, Pixellot recently partnered with NFHS Network and SIDEARM Sports. Suggestive Tailoring – Offers are out, recommendations are in. It’s not that consumers don’t covet discounts; it’s that brands are optimizing price points when personalizing messages. We’re talking carefully curated, highly targeted content and ads served to individuals likely to buy based on their unique digital behaviors. Facilitated by technology, marketers should understand customers’ motivations at each point in the sales funnel and be ready to satisfy their real-time, on-demand expectations. 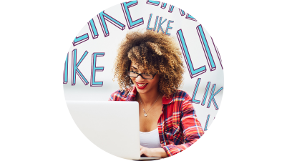 How do you establish brand-aligned criteria, then identify and research legitimate influencers? What’s the secret to knowing them before liftoff to mitigate risk? Will they authentically engage their trusting communities, shape a movement and cause action over time? How do you stay away from those with huge yet manufactured if not worn out followings with false cache? What constitutes a valid test? What’s considered content and campaign compliance? What’s the secret to establishing KPIs? The list of questions goes on and on. It’s not easy to figure out by your lonesome, especially when influencer selection and ROI are under perpetual scrutiny. Cost efficiency of Airbnb is expanding at-course spend by roughly 33%. A “life is short” / FOMO mentality is motivating play at the most expensive, iconic courses. America’s “get healthy” push is causing more blended spa-wellness-golf trips. Once unsung golf destinations are emerging due to players’ “first-to-discover” zeal. Combining golfers’ hankerings for fine food and wine is shaping stay-and-play packaging. Increase in junior golf camps at resorts is prompting more family-centric golf vacations.